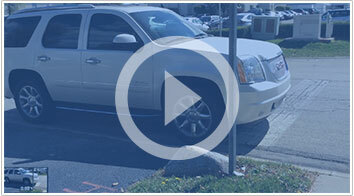 Door to Door service is our most popular vehicle transportation service. It means that your vehicle will be picked up as close to your home as legally possible and it will be delivered exactly where you need it delivered. Door to Door vehicle transportation service is our most popular service because it is the most convenient and saves our clients the cost of having to get a taxi or make arrangements with someone to drive them to a location where they can pick up their vehicle. Our door to door service usually picks up your vehicle from your desired pick up location and delivers it exactly where you want it to be delivered! This type of vehicle transportation is the number one choice and also the highest rated amongst our customers. Door to Door vehicle transportation is really convenient for people who need their car transported, safely, quickly and at a unbeatable price. Van 3 Auto Transport door to door vehicle transportation service covers the entire United States. We can transport your vehicle from any point in the United States to any given point, regardless of the season, type of vehicle, or delivery point. If you are relocating to a new state because of work reasons or going to spend the summer in your vacation home, Van 3 Auto Transport will be there to transport your vehicle by offering you a quick, affordable and most of all safe auto transport service. With technology advancing at such a quick rate, car shopping online will only become more popular over the next few years. Using the Internet you can look at vehicles all over the country, but what will you do when you find the perfect one? You immediately have a few options. One of them will be to ask a friend or a relative to drive you so you can pick it up and drive it yourself. This option will require you to spend money on gas for two cars, hotels, food and sometime ask your friend to take time off work in order to come with you. A lot of times, people find that perfect car more than one thousand miles away, which means that driving with a friend to pick it up will surely take a few days as well as be a costly trip. Van 3 Auto Transport can eliminate all of these costs and save you a lot of money! We can transport a car, truck, or SUV from anywhere in the United States and deliver it to your front door at a much lower price by saving you time and money! Van 3 Auto Transport offers the best Door to Door shipping service, so whether you are buying a new car, moving to a new state, or simply need to transport a vehicle anywhere in the United States we got you covered! Why drive it yourself when you can save money and time by using Van 3 Auto Transport?